Austria is famed for its adrenaline-fuelled snow adventures. Many clad themselves in ski goggles, gloves and many padded layers before heading for the heart-stopping delights of Saalbach ski slope, located just 90 minutes from Salzburg airport. Or those who are a little more advanced may prefer St Anton, with slopes reaching as high as 2,650m, as well as many more scattered throughout the country. The heavy snowfall in the winter months make this the perfect winter destination, but this charming, alpine beauty has so much more to offer than ski resorts. In fact, we believe Austria is perfect for a summer escape, with temperatures reaching around 35°C. We’ve hand-picked five things for you to try during those sizzling summer months. 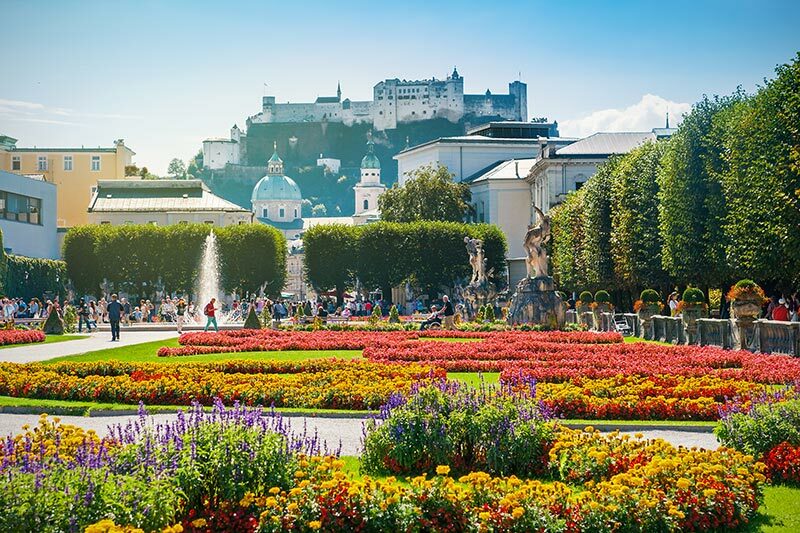 Nestled behind the majestic baroque building in Salzburg is the Mirabell Gardens, a collection of vibrant and striking horticulture, dotted with street musicians and four groups of mythological sculptures (Aeneas, Hercules, Paris and Pluto) to add an extra level of ambience to the horticultural spectacle. The palace, along with the gardens, is listed as a UNESCO world heritage site, and was built in 1606 on the shore of Salzach river. Several scenes from the popular musical ‘A Sound of Music’ were filmed in the gardens, including the scene where the children sing Do-Re-Mi while dancing up the stone steps. The perfect place to visit during those hot and sunny Austrian days. 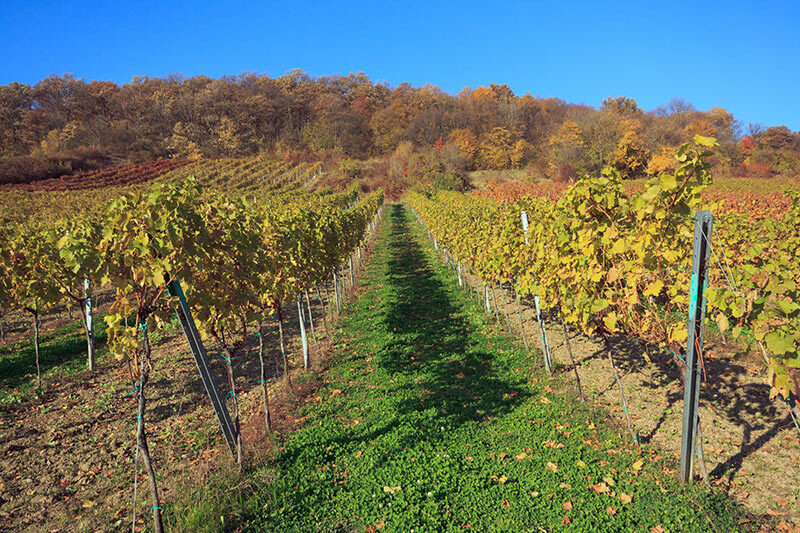 A country’s capital city is not the place you’d think to find hundreds of acres of vineyard, but Vienna is home to 700 hectares of vineyards and it has had a long history of producing some of the most popular wines in the country. Around 80 percent of the vineyards produce white wine, with Wiener Gemischter Satz, a traditional Austrian white wine, produced as the specialty in Vienna. You can find many of the wines sprinkled across the city in the many bars and restaurants throughout Vienna. During the winter Styria is home to some of the most spectacular winter hiking points, away from the city, you’re surrounded by crisp, mountain air. You can hike around the small green lake away from the hustle and bustle of daily life. 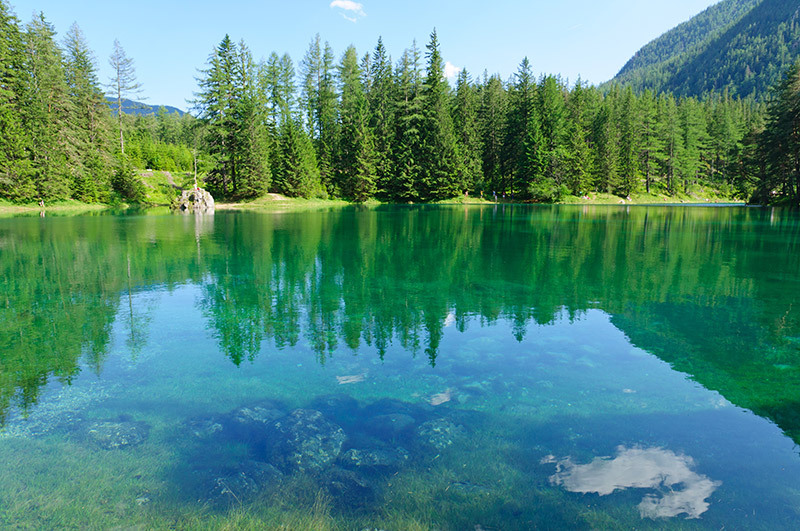 But during the summer hikers become divers and swap boots for flippers, to dive into the impressive-sized green lake and underneath the crystal-clear waters you can discover the park normally sitting amongst snow, now submerged under the melted ice. Scuba divers head to the lake around May and June to swim over gravelled paths and bushes. The lake is famed for the green hue, which is the grass that covers the bottom of the lake. Perfect for under-water adventurers looking for something a little different. 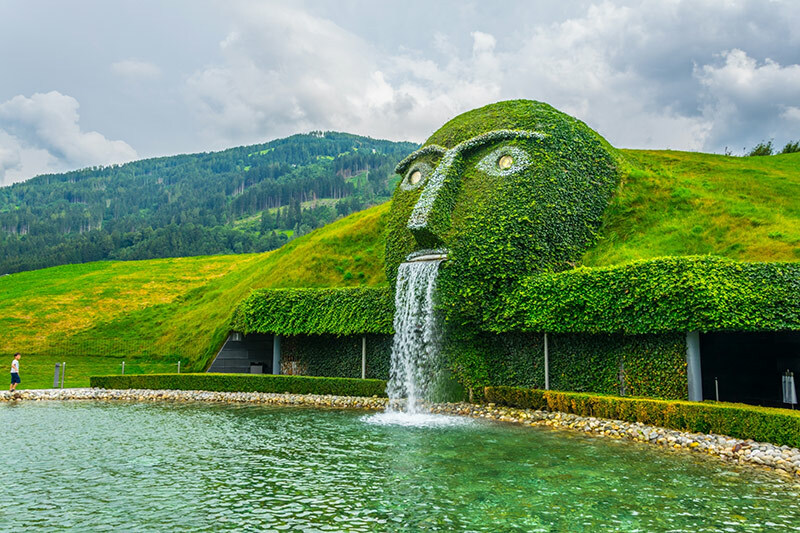 In 1995 Swarovski celebrated its 100th birthday and to memorialize it they created the ‘Chamber of Wonders’ in Tyrol, home to a rich collection of precious items, housed in 16 chambers and watched over by a giant. The sculpture was created by Multimedia Artist André Heller, who also told the story of how the giant set out to experience the world and all its treasures, but soon found the most beautiful treasure of all lay in Tyrol and so the giant settled, watching over the Chamber of Wonders. How does zooming down the side of a mountain in a sledge sound? Well, this family-friendly theme park in the Serfaus-Fiss-Ladis Region is perfect for adrenaline junkies looking for a spot of adventure, or those who just want to kick back and relax next to an idyllic lake, while gazing at the majestic mountains reaching high into the sky. 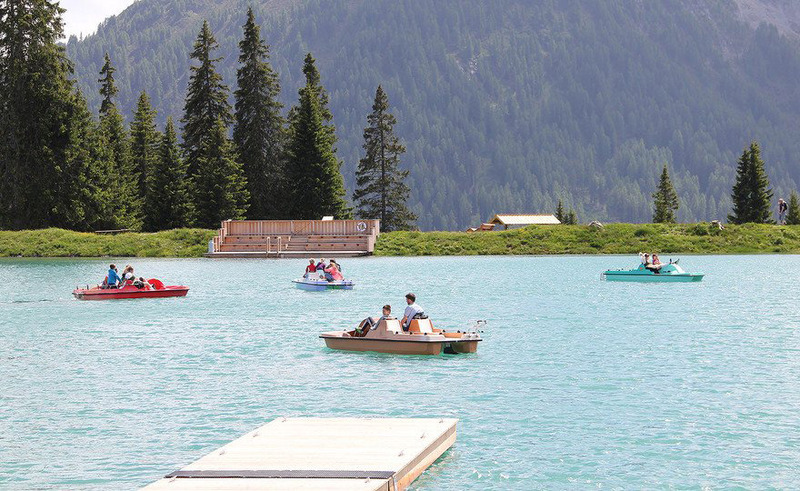 Alternatively, you could rent a paddle boat, kayak or indulge in some delicious Austrian cuisine at the Seealm restaurant, overlooking the lake’s shoreline and offering over 250 seats for you to choose from. The perfect summer day out with the family. What do you recommend for a summer in Austria?